When YASA embarked on its journey in educating the public about the importance of traffic safety, it decided that it is crucial to collaborate with media institutions in order to achieve its goals. Accordingly, many contacts were made with many media institutions in order to introduce to the public the tragedies that traffic crashes are conveying. Soon afterwards, many media institutions showed interest in the matter due to its importance and began to touch on it in newspapers and during news. Since September 1995, a number of YASA members began to participate in media interviews and conferences and in certain programs to try and shed some light on this critical matter. Over the years, YASA has managed to organize a large number of interviews through almost all media institutions. More than 70 members of YASA from different specialties participated in these media activities. This allowed YASA members, who are specialized in areas related to traffic safety, to address the traffic safety problem in Lebanon in a scientific way relying on knowledge, experience, and professional research. YASA also assisted victims of road injuries to participate in media interviews and conferences to share their experiences with the public in an attempt to help enlighten them about the hazards that traffic crashes might bring. YASA believes that the enforcement of new traffic regulations is more effective when preceded and accompanied by sustainable publicity and media campaigns. 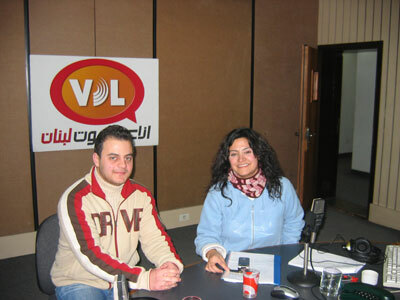 YASA Lebanon was successful in managing partnerships with around 45 local and international media institutions to organize more than 3000 interviews during the period 1996-2011. Since January 2000, YASA produced and convinced media institutions to diffuse twenty five media campaigns that had targeted road safety promotion. These efforts increased the efficiency of the different media interventions that were organized by YASA in the struggle to reduce Road Traffic Injuries (RTI) in Lebanon. The awareness of the public to the dangers of road traffic should be continuously promoted. While other risks of civilization, caused by air crashes for example, get great attention by politically active people and journalists, this is not so for road traffic, although clearly more people lose their life in traffic crashes. Media (Television and radio, internet, billboards, brochures, posters, magazines, and newspapers) has a major role in sensitizing the general public about road safety. Education of the general public through the news media and the distribution of literature are the only effective means of achieving the objectives of some road safety programs. Newspapers and magazines have been equally effective educational media for all types of accident prevention. Media should be encouraged to provide full, accurate information and advice regularly and should influence responsible driving through positive examples in stories and plays. Currently, many YASA members have become frequent guests in most Arab speaking media institutions addressing the issue of safety promotion and injury prevention (Approximately 2 weekly TV interviews, 1 article or interview in a local newspaper and 1 weekly radio interview). Over 2000 interviews (average duration of 20 minutes) have been done by around 90 YASA volunteers over the past years. Over 50 advertisements (average duration of 45 seconds) on traffic safety issues were broadcasted. The advertisements were broadcasted over 200 times on all TV stations. Over 7 radio advertisements (average duration of 45 seconds) on traffic safety issues were broadcasted over 300 times each on all radio stations. YASA has published studies, recommendation as well as photos in many newspapers and magazines regarding all its campaigns.